Big Hedge Company | THE LANDSTRUCTION GROUP HAS ARRIVED! 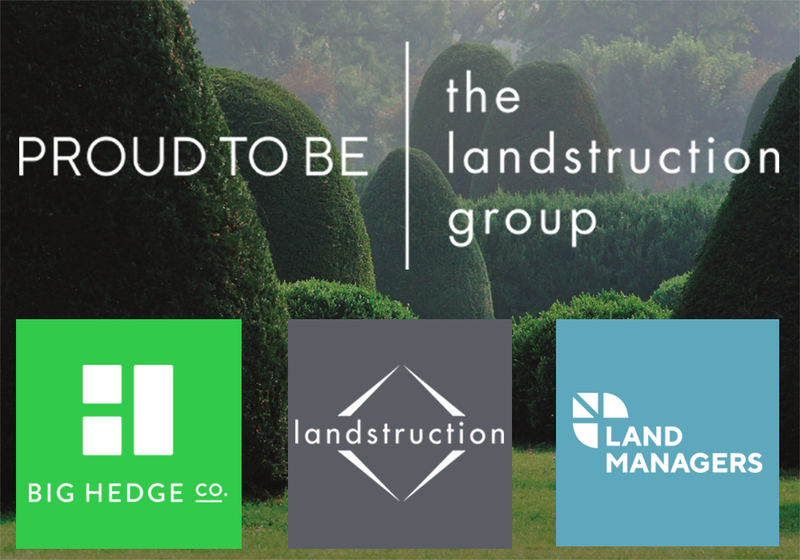 Cheshire based Landstruction and Big Hedge Co. is delighted to confirm the launch of Land Managers and the creation of the landstruction group this month; bringing together the three complimentary full-service landscaping businesses for the first time. Land Managers is a natural extension to the existing Landstruction business and will continue to focus on providing grounds maintenance across the North of England and North Wales. However, the new brand has also brought together a team of specialists across Arboriculture, Invasive Non-Native Species Management and Ecology Consultancy to further strengthen the group’s offering to all clients. The Land Managers arm of the group will be led by Alan Wilkins following his senior appointment earlier this year. Alan brings a wealth of relevant maintenance and land management experience including Operations Director roles at nationally recognised companies Glendale Services and Ground Control Limited. David is equally excited about increasing the company’s specialist expertise and added: “Land Managers will provide a unique addition to our current client offering. The new group structure is now ideally positioned to provide a vertically integrated, bespoke service for commercial clients across the North. bighedgeco.com The Big Hedge Co. specialises in beautiful, ready-grown hedges and topiary. Fully mature and instantly satisfying, these natural elements create immediate landscapes and habitats. The transactional website also offers a range of complementary products including soils, tools and irrigation. landstruction.com Landstruction is the culmination of three generations of landscaping and horticultural excellence. Founded by Gold Medal winners at the RHS Chelsea Flower Show (2015) and at RHS Tatton Park (2011 – 2013), the company excel in hard and soft landscaping. land-managers.co.uk Our specialisms are broad, but our focus is detailed. Our dedicated grounds maintenance, arboriculture, invasive weed control services and ecological specialists can help plan, create and manage your landscape today.